A Critical Animal! Imagine my shock, delight and self-doubt attack when I was successful in my application to join the board of directors for the legendary This Is Not Art festival. Little ol’ me, and a twelve-year-old festival of radness. Hyperventilate now. Last weekend was the first TINA Org meeting for 2011, gathering the sub-festivals in the early stages of preparation for this year’s instalment. After so long spent as a distant admirer and festival punter it was an incredible honour to join the TINA directors and festival coordinator in Newcastle to bring another October long weekend to life. At the TINA table alongside the National Young Writers Festival, the Crack Theatre Festival and Electrofringe is Critical Animals – a creative research symposium and my new baby. Sharing custody are co-directors Ella O’Keefe and Julia Shaw, along with outgoing co-director Sarah Caufield. A cleverer bunch of ladies you’ll never meet. For more info about Critical Animals skip across to our blog HERE. We’ll be updating with news and opportunities in the lead-up to October, so add it to your blogroll and be prepared for lots of shameless plugs here in the pages of Useless Lines. 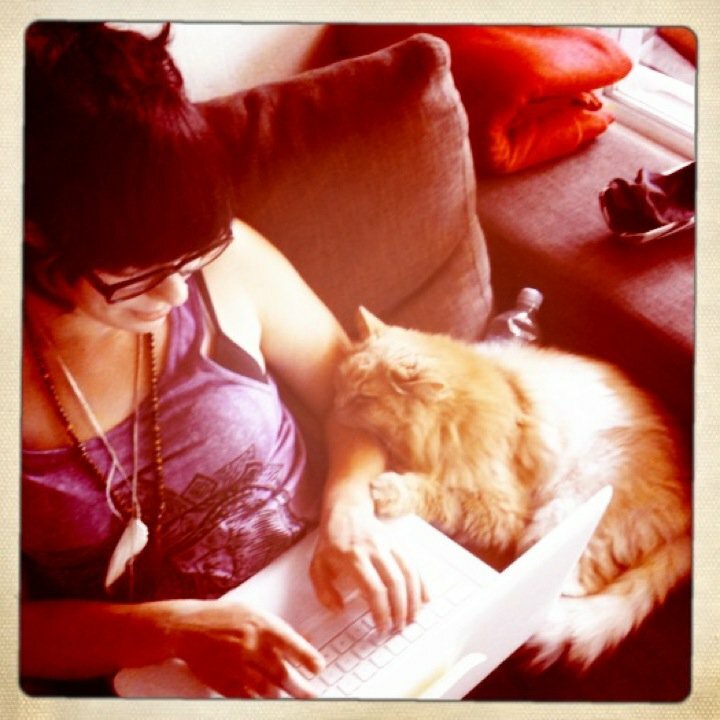 I love you even more now I know you have an orange cat. Sadly I do not – I just borrow one sometimes.